From the CD insert: "In this CD, you will find everything you need for a ballet class with students of 3 to 4 years experience. At last! A CD amied at younger pupils." The CD is 48:00 Minutes long. 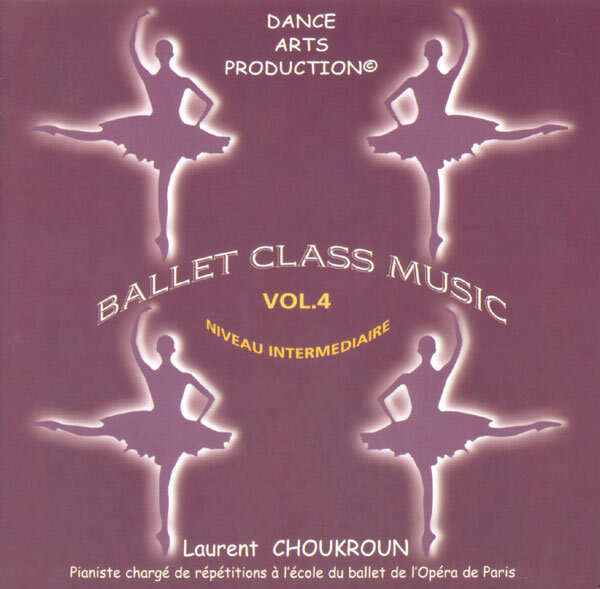 Excerpts of Dance Arts Production - Ballet Class Music Vol 4 are in MP3 format.